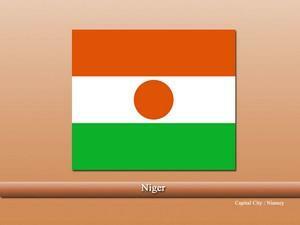 Niger, officially the “Republic of Niger” is a sovereign country located in West Africa. The country has enormous size but is landlocked. Sadly, the country has faced constant military rules and failed to utilize its resources and seriously lags behind in terms of development, human development, infrastructure, and economic growth. Moreover, the country is one of the hottest places in the world due to vast deserts and lack of forests. Early or Ancient history of the country is not known as there was no source of recording, only estimations or predictions could be made. Songhai was one of the earliest known empires in the region followed by several other empires e.g. Mali empire, Kanem-Bornu, etc. 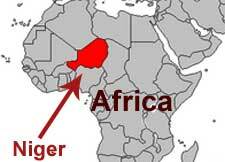 During the infamous “Rush for Africa”, Niger was annexed by the French forces and made it a colony. Similar to the other African colonies, its resources were exploited and the people who resisted were killed. 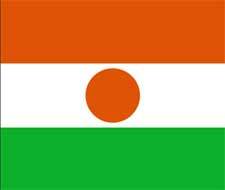 Niger, at last, achieved its independence in 1960, but the post-independence era was not as easy as thought, marked by constant dictatorships. Niger is a landlocked country and is bordered by Burkina Faso and Mali towards the West, Libya towards the Northeast, Benin towards the Southeast, Algeria towards the Northwest, Chad towards the East, and Nigeria towards the South. Majority of the country’s terrain features deserts and lack green lands or forests. This is the reason the country’s temperature is extremely high. The economy of Nigeria is poorly performing and is mostly dependent on agriculture. Although, the natural resources of the country are in huge amounts, e.g. uranium, etc. the country failed to utilize them properly due to various reasons like a military dictatorship, etc. French is the official language of the country and date backs to the colonial times. In addition, there are ten more official national languages declared by the government e.g. Arabic, Buduma, etc. Islam is the dominant religion of the country and almost 99% of the people adhere to Islam. Is east facing entrance good?